The main objective of our four state college road trip, was to visit small liberal arts colleges. However, there were a few larger schools that we drove through, just as a point of comparison. On our leg from Hendrix, Arkansas to Tulsa, Oklahoma, we stopped for a short time in Fayetteville, home of the University of Arkansas. 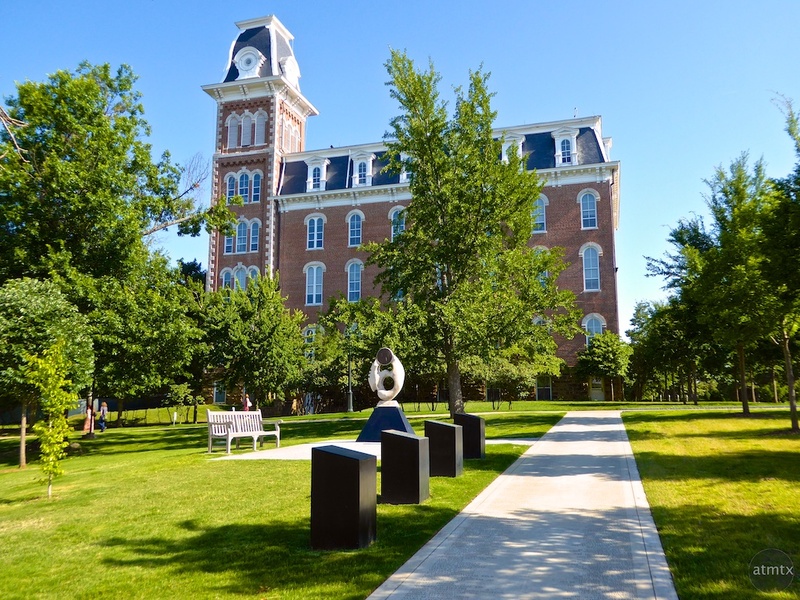 The University is located on a picturesque hill that overlooks the Ozark Mountains. Old Main, completed in 1875, is the oldest building on campus and is one of its most recognizable symbols. Shot at a 28mm equivalent with my Panasonic ZS50 travel zoom.